Well before Sean John fragrances were conceived, Sean Combs was an ambitious and driven young man who went from being an intern at Uptown Records to founding Bad Boy Entertainment. From there, he launched Sean Jean Fashions in 1998. As it grew, the label added accessories and, in 2006, Sean John fragrances to its line of products. The first fragrance was called Unforgivable. 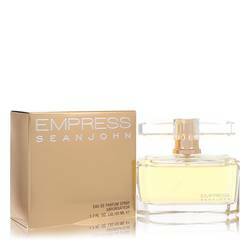 This Sean John cologne for men was highly lauded and quickly became one of the bestselling fragrances of the year. At the Fragrance Foundation's 35th annual FiFi Awards in 2007, it tied with Terre d'Hermès by Hermès for the Men's Luxury Fragrance of the Year. Also in 2007, Unforgivable Woman was launched. 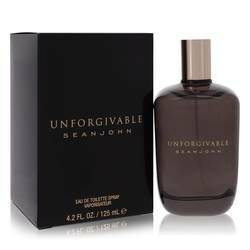 Unforgivable Woman Sean John perfume for her is a fruity and floral scent featuring top notes of apple, grapefruit, bitter orange, and pear. The fragrance's woody base notes exude oakmoss and cedar. This classic perfume was also a success when launched, solidifying the brand's perfume line as a serious contender in the fragrance industry. Unforgivable Black, Unforgivable Multi-Platinum, and Unforgivable Night are also popular options for Sean John cologne for men and women. Unforgivable Black, released in 2008, has an aromatic scent that's both woody and citrusy. Sean John is a fashion company founded by rapper and mogul Sean John Combs. ... Read More Commonly known as "Diddy," "Puff Daddy," and "P. Diddy," particularly to fans of his music, Combs has built a brand that has a fresh and stylish urban appeal. His fashions and Sean John perfumes and colognes have captured attention and garnered recognition as a top luxury brand.